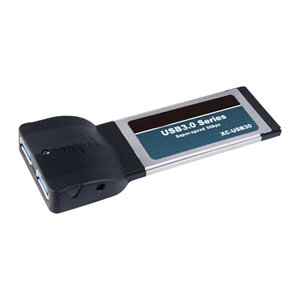 Upgrade your Notebook computer to SuperSpeed USB 3.0 with our new 2-Port ExpressCard SuperSpeed USB 3.0 Host Card. Now you can transfer files, photos, and videos at blazing speeds of up to 5Gbps! And Backups are faster than ever. These are fully reverse compatible so you can still run make use of your USB 2.0 devices.